Criminal background checks in Louisiana are very important. 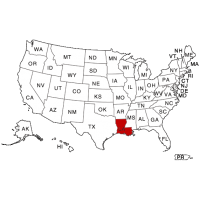 The counties in Louisiana are referred to as Parishes, and they provide limited data to National Database searches. Because of this, Intelifi has court researchers that go to every Parish Court in the state on a daily basis. We can provide a comprehensive package that will cover both the National Database and the Parish’s that your job candidate has resided in. This is essential for Louisiana employers, so you can be safe knowing you have thoroughly checked your job candidate for all possible criminal history. Louisiana has one of the highest crime rates in the United States, and Intelifi can ensure that you discover everything available. Louisiana Criminal Reports will inform you of all Felony and Misdemeanor convictions, which range from severe crimes such as Grand Theft, and less severe crimes such as DUI’s. Contact Intelifi today to get started checking the state of Louisiana for all of your pre-employment screening needs.